The hand mixer is an absolute necessity in my kitchen. Our kitchen is very small and I don't have room for one of those big leave-on-your-counter stand mixers. They are QUITE nice, though, so please don't think I don't like them. I really would love to have one someday, but it's just not practical in this home. This hand mixer is my favorite!! Why? Because I burned out the motor in two previous hand mixers and this guy is the only one that's been able to keep up with me!!! Hand mixers are great for mixing up cookies, quick breads, muffins, brownies, cake batter, icing. The list goes on and on. I just pull mine out (another benefit- I can just store it in a cabinet!!! ), pop in the beaters and away we go!! I don't have to practically break my arm to make chocolate chip cookies for Mr. U, I just plug this in, mix up the cookies and presto!! Mr. U's got a plateful of warm cookies!!! Do you have a hand mixer? If so, do you use yours often? Oh, I wouldn't consider having a kitchen without one! I got THREE for my bridal/wedding gifts, and the one I decided to keep is still going strong six years later! For the longest time, (when I was living in an apartment during grad school) I didn't have one of my own. I would either borrow one from a friend or would just use the old-fasioned strength method. Then one day I realized that I could get a rather decent one for $6 at Big Lots. It changed my life! I do want to get another one, though, because the cheap one I bought doesn't prop up very easily when I set it down -- it rolls over, making a mess. Still, it was well worth my six dollars! 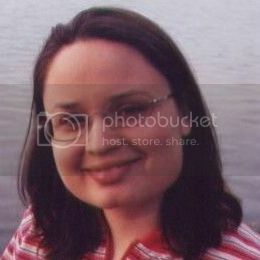 Wow, Tammy!! You must have a really good brand to have it still going strong after 6 years!! Wonderful!!! Leannot, I LOVE "the old-fashioned strength method" HAHAHHHAAAA!!!!!! Too cute!! I am very happy for you finding such a wonderful deal! $6!! WOOHOOOO!! 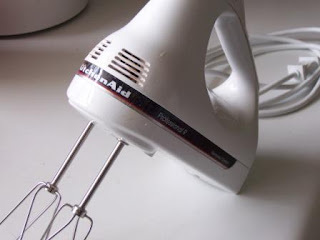 I had a hand mixer for most of my married life until my Husband bought me a Kitchen Aid stand mixer when we were living in Detroit (actually, he let ME buy ME a mixer since he didn't know what I wanted). I gave away my hand mixer after buying the big stand mixer but I wish I hadn't. There are still times the hand mixer would be very "handy".